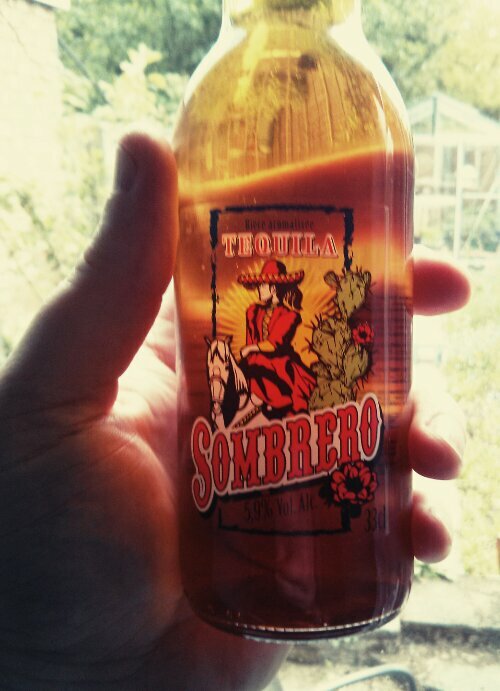 It’s Friday, and the sun is trying to peek out from behind the clouds so what better way to end the week than with a tequila flavoured beer? I came across this in my local Aldi and for three pounds and change for a three-pack of bottles, it seemed rude to say no. It smells mostly of lime juice. No hint of tequila and just a suggestion of a fairly bland sugary sweetness – but maybe it will taste more interesting than it smells. Err, no. It actually tastes a lot worse. Imagine, if you will, ordering a Fosters shandy and lime. Obviously don’t do this in a pub where they know you, or where you’re ever likely to return. Then imagine that they’re out of Fosters and have to make do with some sort of alcohol-free horror, and that they’re out of lemonade and have to use tap water and sugar. It’s just a sweet, slightly fizzy glass of limeade. Clearly “tequila”is some sort of brand name, as it has no hint of the actual liquor. I was wrong – a pound a bottle is far too high a price.